The annual City of Alhambra ECO FAIR is set for Sunday, April 30th from 9 a.m. to 12 p.m. at 101 S. 2ND Street. Family oriented games, food vendors, free giveaways, entertainment, eco-friendly vendors, certified organic farmers market– and the latest information to help residents embrace a greener lifestyle, save personal funds and protect our environment will be available. that's designed so you never have to wait in line ... or sit on hold! Have you ever come across a pothole so annoying you wish you could complain to someone right on the spot? Now, there’s a new mobile app for residents to submit service requests and access City Hall using a smart phone, online or phone connection, and SMS. City of Alhambra Emergency Alert Program: Get alerted about emergencies and other important community news by signing up for our Emergency Alert Program. This system enables us to provide you with critical information quickly in a variety of situations, such as severe weather, unexpected road closures, missing persons and evacuations of buildings or neighborhoods. Now you can view live council meetings hosted by the City of Alhambra. I've lived most of my life in the sweet little city of Alhambra. One of my favorite things in Alhambra would be their Independence Day Fireworks show at Almansor Park. Applications are now being accepted for the 2019 Community Academy English session. 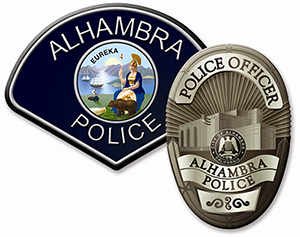 The Alhambra Police Department will be conducting two days of Active Shooter training on September 15, and September 22, 2018. Applications are now being accepted for the 2018 Community Academy Spanish session. Learn CPR. Get the APP.